in my list writing left 146.000 and right 145.980 in the opposite as described above. I expressed them as the same in the other satellites. 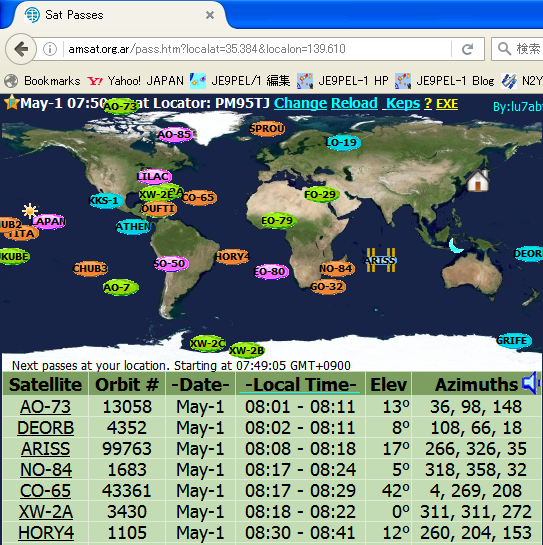 I noticed about the satellite ID number of SOMP and BEESAT-3. the observation of me and many satelliters around the world. All these have already been corrected on NORAD and CelesTrak. The following file compares the difference between NORAD's ID and my "All Satellites Frequency List"
by Dr. T.S. Kelso belonging to CelestTrak. The obvious difference are indicated in red letters. 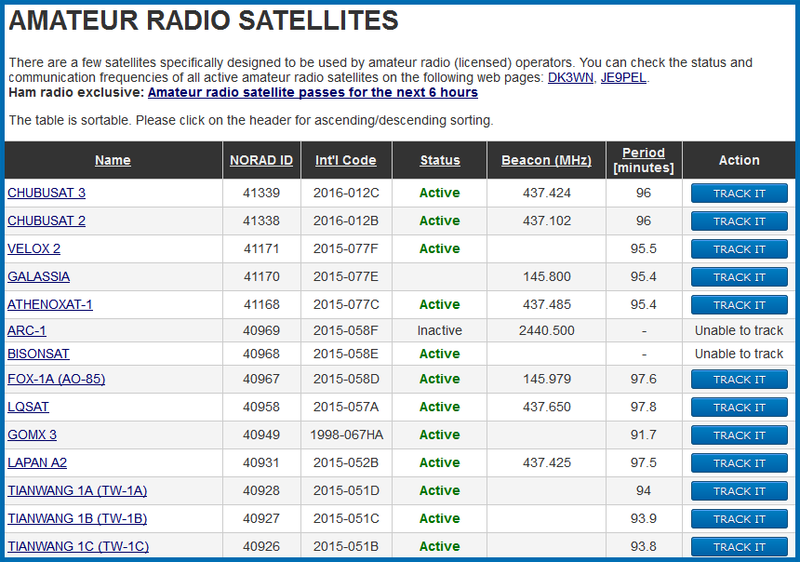 According to this indication, I have already corrected on "All Satellites Frequency List Update". 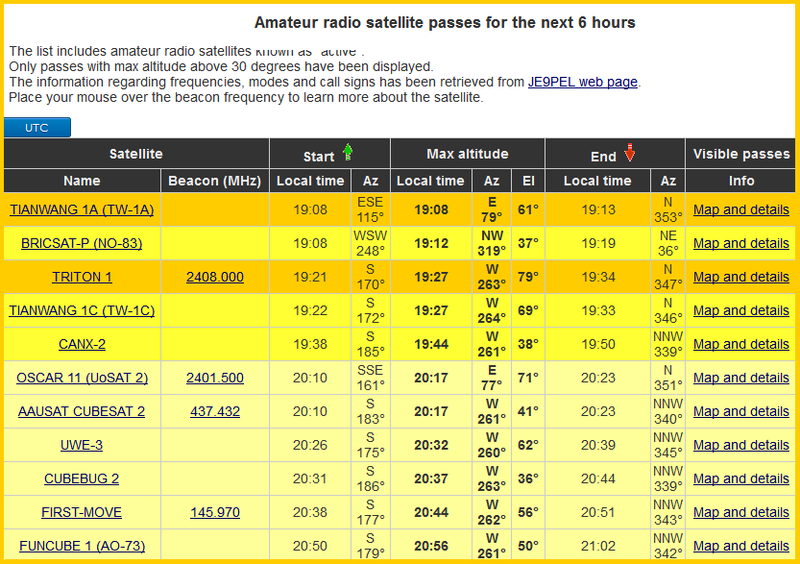 RS Satellites update written by RW3DZ and edited by DK3WN, JE9PEL on 9 Jan 2010. RS-28 (UGATUSAT,Ufa)  failed due to malfunction of electronics. RS-29 (STERKH)        ID was reserved for this satellite but they used their own TRX rig and this ID was omitted so far. RS-31 to RS-37        were used for ORBCOMM satellites under contract from OHB-systems. RS-38 (Tatyana-2)     is working perfect and operate well under Kaluga control. RS-39 (Chibis)        is under construction since 2006 and may be on orbit in 2011. RS-40 (Yubileyny-2)   will be on orbit in 2010. RS-   (      )        next new RS satellites also in progress. that any uplink frequency between 145.9 to 146.0 MHz will work? And Downlink: 435.900-435.800 mean that 435.900 to 435.800 MHz. This is the characteristic of the equipment called Transponder. We call this rule with 'Linear Inverting Heterodyne Transponder'. AND 145.870, 145.890, 145.910 MHz? in any four channel, it was downlink to 435.910 MHz. of inactive. It's currently active as SSB and CW mode. The above list is quoting from JAMSAT Home Page. beginning of May 2001, then we observed as follows.